It might be rolled out fairly soon, but, then again, it may take another six months to a year. That is the Trump administration’s so-called “Deal of the Century,” the carefully designed formulation that is supposed to herald the end of the Israeli–Palestinian conflict and finally initiate a period of peace intended to begin an era of long-sought-after peace and prosperity for the residents of the area. If you have been following the bouncing ball of peace talks and negotiation machinations, then you know that for a few decades, the back-and-forth between the parties along with the involvement of the United States has been one colossal game of chicken. 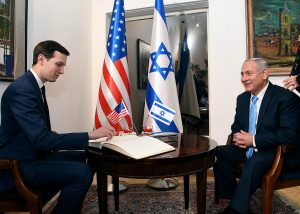 Now two years into the Trump administration, the president has proven himself to be the best friend Israel has ever had in the White House. 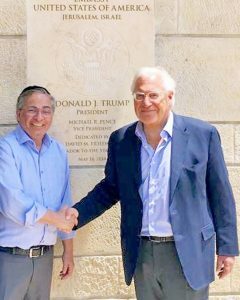 Mr. Trump has expressed special affinity for both the Jewish people and the state of Israel. And there is even a greater aspect to all this, and that is the president’s recognition of the disingenuous, devious, and corrupt designs that are the signatures of today’s Palestinian leadership. It is important to say at this juncture that while I have spoken to several people about this matter, most of what you are reading here on this subject is conjecture and based on conversations about the topic over the last many years with an assortment of personalities identified with these matters. What is being touted by President Trump as a grand deal just might be the same old ideas and proposals, with the only chance for success being the regional circumstances that have changed so dramatically, mostly since Mr. Trump was elected. 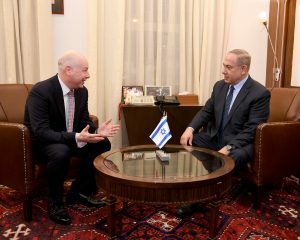 The president’s chief negotiator, Jason Greenblatt, said last week about the peace plan that it will require that both sides compromise to an extent that neither will do so happily. So what does this really mean for Israel? It’s not much different than the various flirtations with peace and cycles of peace talks dating back decades. The reality is that, going back to 1993 and the infamous Oslo Accords, Israel has stated and indeed demonstrated a desire and a willingness to make concessions—and what used to be referred to as painful concessions—in the interest of peace. What this meant in the administrations of Bill Clinton, George W. Bush, and Barack Obama was that Israel would in all likelihood have to prepare itself to remove settlers from their homes in at least some parts of Judea and Samaria and possibly even in areas of Jerusalem. Now, while there was a willingness on Israel’s part to make concessions in this direction, the effort went just about nowhere, as the Arab side of the equation was steadfast in their position not to agree to anything short of Israel’s return to the pre-1967 borders. And the major part of that position is the re-division of Jerusalem, which, thanks to Mr. Trump, is now a mostly moot point. So what exactly is the grand deal or the Deal of the Century, as some involved in the Middle East peace process call it? The best estimate is that there is no real new or refreshing breakthrough here except for the insistence of the Gulf States that the Palestinian leadership agree to a compromise formula on some level. Mr. Greenblatt told reporters in London last week that neither side will be completely happy with the new plan. My best information is that while Israel may not be completely overjoyed with the concessions they may have to make for peace, the plan is being formulated in close consultation with Israel, so there won’t really be any shocking surprises. The U.S. has already recognized Jerusalem as the capital of Israel and moved the embassy there, and President Trump has already said on more than one occasion that settlements are not an obstacle to peace. Both these issues are matters that have been red lines for the Palestinian side over the last few decades, positions on which they say there is no negotiating flexibility or room for compromise. This means that as far as Palestinian Authority President Mahmoud Abbas is concerned, Jerusalem must be divided and most settlements need to be forcibly evacuated and cleaned out of any Jewish presence. The new Trump plan, according to some who have familiarity with the top-secret proposals, addresses the matter of Jerusalem in little more than a symbolic fashion. 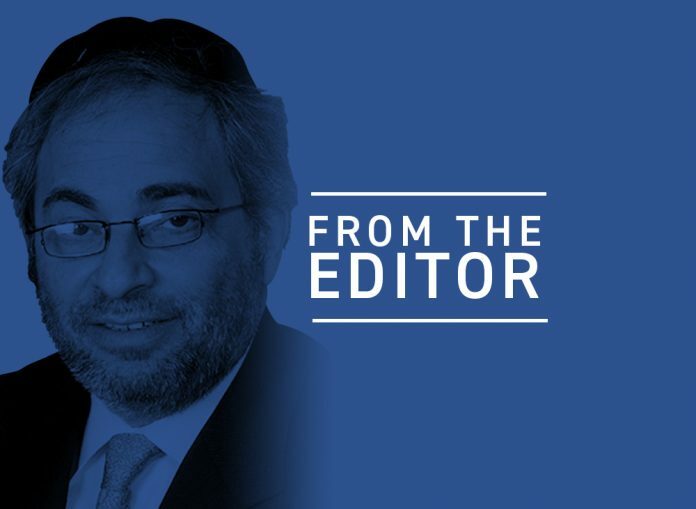 The commitment from the administration is that Israel’s security will not be coopted. On the PA side of things, this is a matter in direct contradistinction to the Palestinian objective going back many years. Their plan has always been that any agreement must achieve some future vulnerability for Israel’s existence, if nothing else. The objective of the Trump negotiators and architects of this plan, Mr. Greenblatt, Ambassador David Friedman, and the president’s son-in-law, Jared Kushner, is, at present anyway, the precise opposite of that. So how do these sides bridge those rather extensive gaps and get close to being on the same page? A first matter of business after all these on-and-off-again negotiations over the years is at what point to unveil whatever the grand peace plan is. It has been reported in the Israeli press that Prime Minister Netanyahu plans to call elections as a gesture of confidence in his government and leadership, if not in the next few months then no later than this summer or fall. The prime minister has asked the president, according to these reports, to delay the rollout of the plan until after those elections. The point of that strategy is manifold. First, there is the all-important idea of delaying the presentation and possible negotiations on the peace plan as long as possible. The agency of time is to Israel’s significant advantage. It is important to bear in mind that the greatest obstacle to peace in that area at present is President Abbas. The good news as far as diplomacy and negotiations are concerned is that Abbas is 83 years old and in failing health. It has been quite a while, but what the Palestinian people need more than anything else these days is new leadership. Another element in the current reasoning is that Netanyahu would lose vital backing from his right-wing supporters if he even entertained the possibility of surrendering even a few inches of Jerusalem to Palestinian sovereignty. Additionally, time is important because in less than a year, the 2020 presidential election will be officially underway and that means articulating traditional right-leaning U.S. positions on Israel. The odd thing is that American Jews do not need that kind of rhetorical support for Israel; it is the eighty million evangelical Christians in the U.S. who need to hear that as a prerequisite to considering support for a candidate. In a sense, no matter what happens, the Palestinians are going to be the losers. And that is not because of any U.S. peace plan or because they are outsmarted by Israel. The new dimension here is the role of leading Gulf countries like Saudi Arabia and Qatar. They and the other countries in that area see great advantages to a business relationship with Israel. To them, after all these decades, the Palestinians are the true obstacles to this new and important thinking today. Read more of Larry Gordon’s articles here. Follow 5 Towns Jewish Times on Facebook, Instagram, and Twitter for updates and live videos. Comments, questions, and suggestions are welcome at 5TJT.com and on Facebook, Instagram, and Twitter.